A rainy spring turned into a stormy summer, so let's hope for a sunny fall! We have a full calendar of events for October, November, and December including another Sexual Intimacy Discussion with Sexual Education Consultant MaryAnn Carmody, a weekend trip to Busch Gardens with Making Connections, a Halloween themed Las Vegas Night, the annual Ms. Wheelchair Maryland gala, and the annual Holiday Party. And those are just a few of the events planned, see the calendar for more details. Now onto a new project we like to call, "Have DateAble Sipper Cup, Will Travel." 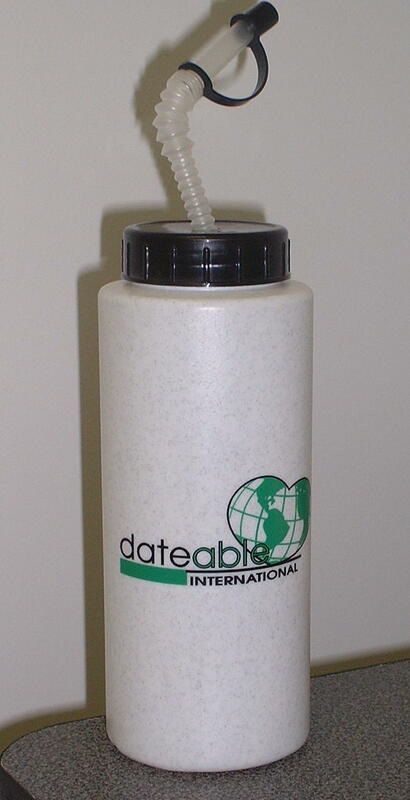 Over the past 11 years that I have been executive director, it occurred to me how many places people have traveled to with a DateAble sipper cup. For me, the cup has traveled from Alaska to Hawaii to Toronto and then all the way to Australia. So here's where you come in. We'd like you to take your DateAble sipper cup on a trip or two with you and have your picture taken at a landmark with your cup. For example, if you are going to New York City, have your picture taken in Times Square or at the Empire State Building with your DateAble sipper cup. We'll put that picture in the newsletter and on the website to say "thanks" for traveling with DateAble. Now most members should have a cup or two or three by now since they are giveaways at most events. If you don't have a cup, we'll have them at some events through the fall. We all hope you enjoy this fun little project and thank you in advance for sharing your travels with us! Remember, DateAble is as much a part of your life as you let it. We are already looking ahead to the next Image Awards which will be held on April 28, 2004 at the DoubleTree Hotel in Rockville, MD. We are currently accepting nominations for possible recipients of the Image Award so look into your circle of friends, acquaintances, and others who have affected the disability community in a positive way and nominate them today. The nomination form is available on the website, www.dateable.org or by calling the DateAble office at 301-657-DATE(3283). Join in all the many parts of DateAble! Share in the many sights, sounds, and tastes available locally during this annual event. RSVP by October 2, 2003. Back again by popular demand. If you joined in before, come on back. If you’re new, give this group a try! Note: Please submit your discussion topics when you call to RSVP. RSVP by October 3, 2003. It’s time again for this special autumn event! Metro: This event is not accessible to a metro station. Please make your own transportation arrangements. Cost: Voluntary donation at event. RSVP by October 8, 2003. Join Making Connections for an overnight trip to the Busch Gardens amusement park. Note: See the article below in 'Calendar Creations' for more information. RSVP by October 1, 2003. Call today, no late responses will be accepted. Wear your favorite Halloween costume if you’d like and enjoy the fun this very popular annual event. RSVP by October 22, 2003. Share your burgundy and gold spirit and cheer on the Redskins with at this joint event with Making Connections. RSVP by October 29, 2003. Meet the Ms. Wheelchair Maryland contestants in a relaxed and casual atmosphere. RSVP by November 5, 2003. Be part of the excitement as Ms. Wheelchair Maryland 2004 is crowned. RSVP by November 5, 2003. No late responses will be accepted. Get together for a Sunday brunch for all you non-football fans! RSVP by November 13, 2003. It’s the most wonderful party of the year! Join Making Connections for this holiday celebration. RSVP by December 10, 2003. A holiday twist on movie and game night. We’re starting early to show two holiday comedy movies. Stop by for an hour or all evening! RSVP by December 15, 2003. Gardens Amusement Park in Virginia on October 18 & 19th. A few seats are available to DateAble members for this special trip. Call the office as soon as possible if you are interested in going. Saturday, East Falls Church Metro Station at 9:00 a.m.
Sunday, 10/19 at Grosvenor Metro Station at 8:00 p.m. 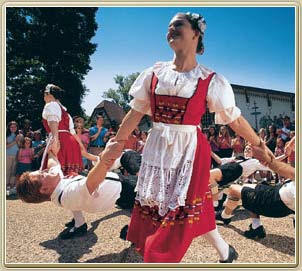 Cost: $200.00 per person which includes coach bus transportation to Busch Gardens, park admission, and hotel lodging. Lunch on Saturday, breakfast on Sunday, and lunch on Sunday are included in the price. Spending money is needed for dinner on Saturday and for any other purchases. RSVP: If you are interested in going on the trip, you must respond by October 1, 2003. Full payment for the trip is due by October 1, 2003. The ever popular photo gallery will return with the Winter 2004 issue of this newsletter. If you would like to be in the photo gallery, be sure to attend events this fall and wear a smile. Some of the events where we'll be taking some candid photos are Las Vegas Night, the Ms. Wheelchair Maryland gala, and the Holiday Party. Although any event may bring out the 'shutter bug' in the staff. The photos will also be placed on the DateAble website although member names are never used with any photos. See Robert's letter on page one for another photo opportunity! to you. Take a look just for fun or for information and get out there into the big web world! www.ncpad.org The mission of the National Center on Physical Activity and Disability (NCPAD) is to promote substantial the health benefits that can be gained from participating in regular physical activity. The slogan of NCPAD is Exercise is for EVERY body, and every person can gain some health benefit from being more physically active. www.4woman.gov The National Women's Health Information Center, established by the U.S. Department of Health and Human Services to provide reliable health information to all women, with a special section devoted to topics relating to women with disabilities. www.garfield.com Help Garfield the comic cat celebrate his 25th birthday by visiting his website and downloading some of the free comics and games. Although if you want Garfields favorite lasagna recipe, you'll have to order one of his cookbooks! ¨ DateAble congratulates Jennifer Rechsteiner, Ms. 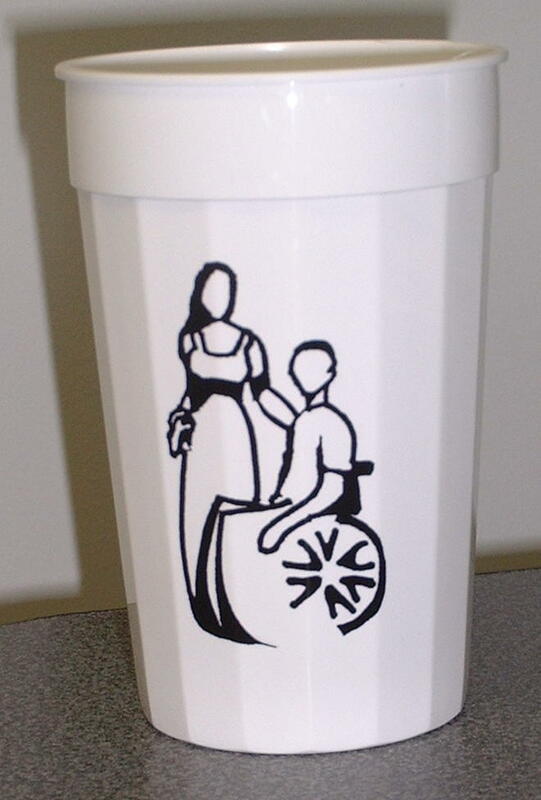 Wheelchair Maryland 2003, for participating in the Ms. Wheelchair America 2004 event held in Des Moines, Iowa in July. Jennifer was selected as Second Runner-Up for the Ms. Wheelchair America title. DateAble is a proud sponsor of the Ms. Wheelchair Maryland and Ms. Wheelchair America events. See the calendar for details on the next Ms. Wheelchair Maryland gala where Jennifer will crown her successor.